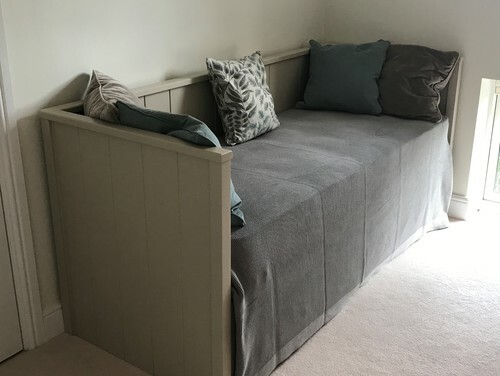 Valley were approached to advise, design and build a study space and daybed in keeping with the contemporary style of this beautiful apartment. It included a pull out oak shelf to maximise working space and over head led lighting all spray finished in a Farrow & Ball colour. A lovely project to be a part of, thank you guys.